Dr. Paul Sanberg talks about USF's status as an I-Corps site as Rep. Kathy Castor, USF President Judy Genshaft and USF researchers Ismet Handžic and Dr. Daniel Yeh look on. 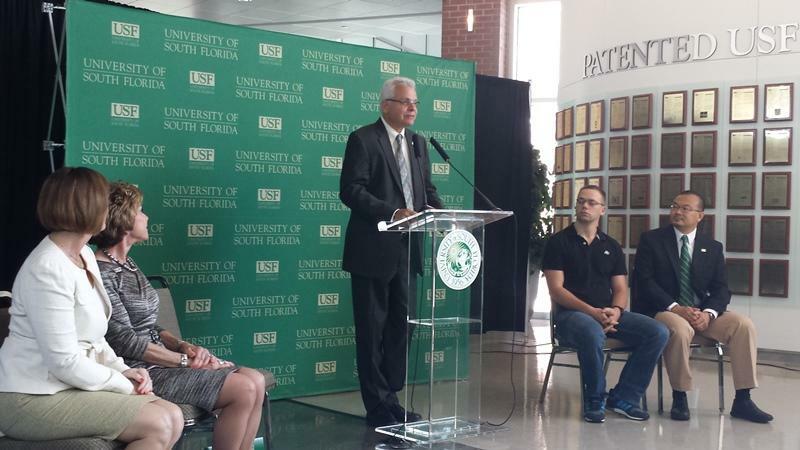 During his time at the University of South Florida, Ismet Handžic earned both a master’s degree and a doctorate in mechanical engineering. Working with principal investigator Kyle Reed and mentor David Huizenga, they are bringing one of those concepts– an adapter for crutches – to the marketplace. Mark Schreiner's University Beat report on WUSF 89.7 on USF's status as an I-Corps site. "Anybody that has used crutches in the past knows any improvement is a good improvement in crutch walking," Handžic said. The Kinetic Crutch Tip is a small plastic piece that fits on the bottom of a crutch where the rubber stopper normally goes. But instead of being round like the stopper, it’s stretched out a few inches on either side, giving the user the ability to brace the crutch more fully – imagine the balance you get standing on your whole foot versus just on your tiptoes. "It makes crutch walking easier, more efficient; it can help you walk up the slope without any motors or actuators," Handžic said. "It can also control your descent down the slope, make it much safer so you don’t go too fast or fall down or lose balance or things like that." But the challenge for inventors like Handžic is figuring out how to get an idea to the marketplace. He chose to turn to USF Research and Innovation. Dr. Paul Sanberg leads USFRI, an underwriter for University Beat. "Any professor, any student that’s interested in discovery, in starting a company, in inventing, we’re here to help them," Sanberg said. "We have a student business incubator, we have our regular Tampa Bay Technology Incubator and they’re right next to each other, so the students can interact with the senior companies as well." For the past five years, the number of patents issued to USF has ranked among the top fifteen universities worldwide. In addition, each year, it’s received more than 400 million dollars in research awards. Sanberg says that work hasn’t gone unnoticed, as earlier this year USF was named by the National Science Foundation as an Innovation Corps (I-Corps) Site. It’s only the second institution in Florida to receive the designation. "So it’s pretty exciting that they picked us, because Tampa Bay is an important economy and we want everyone, whether they’re faculty, students, staff to really be a part of it. And so it’s a great resource for us," Sanberg said. 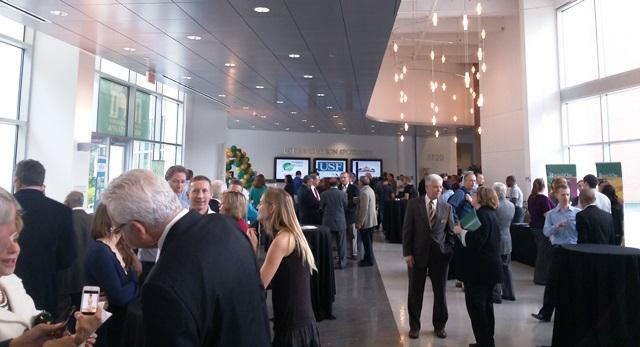 The university will train inventors and researchers, not just from USF, but from around the region. Dr. Daniel Yeh, a USF professor of civil and environmental engineering, has already been through the I-Corps boot camp. Yeh says the boot camp forced him to ask questions he hadn’t before about the ICARUS project he's working on with Dr. Ivy Drexler, Dr. Glenn Whichard and Dr. Jose Zayaz-Castro. It's a technology that can grow microalgae out of wastewater and then turn it into biofuel and other forms of green energy. "If your technology is not solving the problem, it might surprise you later on that nobody will buy that," Yeh said. "So working it from that angle, we’re basically able to just deconstruct what we’re doing and really just focus on ‘is there a problem and how can we align what we’re doing to where we’re solving that problem?’ And if what we’re doing is really not solving the problem, we need to pivot and maybe go in a different direction." Handžic and the team working on the Kinetic Crutch Tip also took part in the boot camp. He said he’s grateful for that experience. "There’s this disconnect between the research, academic research, and getting it to the market, the customer, and I think it’s really important for the university to give students tools and faculty tools that they can do that transition," he said. The transition is getting closer for Handžic. 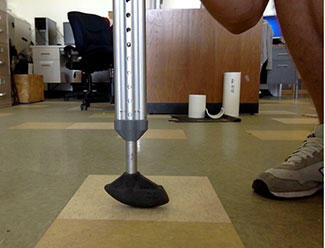 The team is in the final stages of figuring out the design of the Kinetic Crutch Tip. They’ve also applied for a number of grants so they can take the product to the market, where it will join a long list of products invented by USF researchers and students. 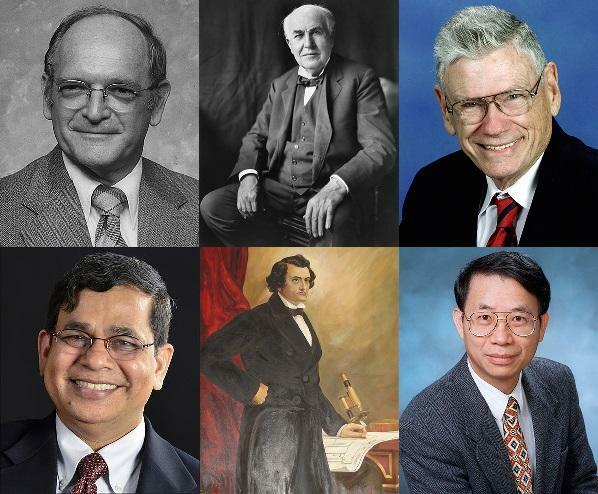 The University of South Florida sits among such intellectual titans as the Massachusetts Institute of Technology, Stanford University and the California Institute of Technology on the top ten list of U.S. patents issued to American universities in 2014. 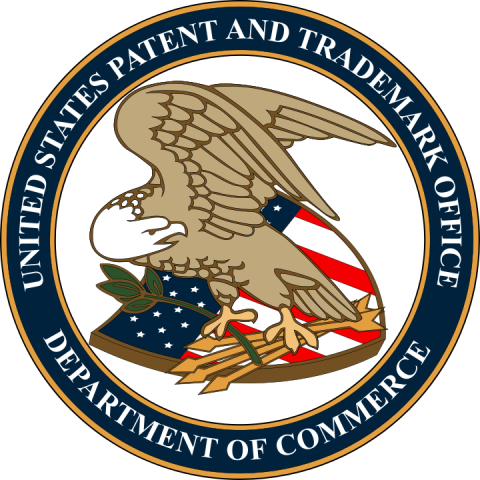 USF's 104 patents issued by the U.S. Patent and Trademark Office ranked 10th nationally and 13th among all public and private universities worldwide. It's the fifth year in a row USF has placed in the top 15 worldwide. USF and its Patel College of Global Sustainability have made water one of their priorities through research into such efforts as turning wastewater into a clean, usable product or the rapid detection of contaminants. Now that work is getting the attention of the federal government, which in turn could lead to a new stream of revenue for the University. 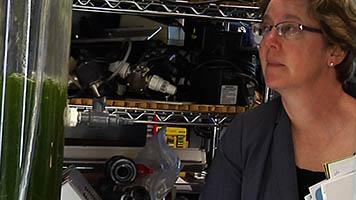 This week's University Beat report on WUSF Public Media takes you along as Nancy Stoner, Acting Assistant Administrator of water at the U.S. Environmental Protection Agency, tours laboratories at USF’s Tampa and Lakeland campuses to see the research firsthand.